San Lorenzo del Escorial, Spain. So I just take pictures and enjoy it. I lose myself in travelling and exploring new countries with their mountains, peoples and customs, exploring new natural settings and discovering the unknown, letting myself go, capturing whatever I come across that catches my eye, whether it be flora, fauna or a charming setting, which I then interpret through my own experience and mood and I frame to immortalize in a small fragment that I can share with everybody else. RPS member (Royal Photographic Society, United Kingdom). FONAMAD member (Nature Photographers Association of Madrid). AEFONA member (Spanish Association of Nature Photographers). IFWP member (International Federation of Wildlife Photography). CEFOTO member (Spanish Cofederation of Photography). – Magical Nature, First Prize Landscape, 2019. Slovenia. – Memorial Climent Picornell, Third Prize Artistc Nature, 2019, Spain. – Travel Photographer of the Year, First Prize, 2018, United Kingdom. – AFOAN-UNED, Second Prize, 2018, Spain. – Tarifa, Second Prize The Great Event of Migration, 2018, Spain. – Gipuzkoa Internacional. 4 photos Finalists, 2018, Spain. – Sydney Int. Exh. Photography, Finalist (2 photos), 2017, Australia. – NaturCyL, Second Prize Flora, 2018, Spain. – NaturCyL, Honourable Mention Other Fauna, 2018, Spain. – Delta Birding Photo Contest, Finalist Birds, 2018, Spain. – Photo Montier, Winner Artistic Nature, 2018, France. – MontPhoto, First Prize Landscape, 2018, Spain. – AEFONA, First Prize Landscape, 2018, Spain. – Oasis Photo Contest, First Prize Flora, 2018, Italy. – Best of IMS Mountain Summit Photo Contest, Italy, 2018. – ADC NATURA Ciutat Vila-Real, Finalist Flora, 2018. Spain. – Memorial María Luisa, Honourable Mention Creative, 2018. Spain. 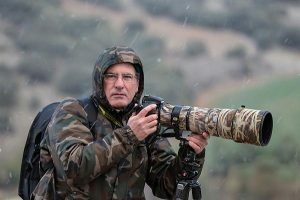 – FIO Extremadura, Honourable Mention Birds of the World, 2018, Spain. – Memorial Climent Picornell, First Prize Birds, 2018, Spain. – Memorial Climent Picornell, Honourable Mention Birds, 2018, Spain. – RSB Photographer of the Year, Shortlisted, 2017, United Kingdom. – FotoNoja, Honourable Mention Macro, 2017, Spain. – Sydney International Photography, Finalist (2 photos), 2017, Australia. – Narava Internacional Photo Contest, Finalist (4 photos), 2017, Slovenia. – Photo Montier, Winner Flora, 2017. France. – Formunity Fotografia Nocturna. Finalist, 2017, Chile. – Siena Photo Awards, Finalist Fascinating Faces, 2017, Italy. – Euronatur European Treasures of Nature, Winning Photo, 2017, Germany. – Memorial María Luisa, Finalist (2 fotos), 2017. Spain. – Sydney International Photography, Finalist (3 photos), 2016, Australia. – Formunity Creative Photography, Segundo Accesit, 2016, Spain. – MontPhoto-Aefona, Specially Commended Landscape, 2016, Spain. – Narava International Photo Contest, Finalist (3 photos). 2016. Slovenia. – Medclic Oceans Photo Contest, Finalist Underwater, 2016, Spain. – International Federation of Wildlife, Second prize Flora, 2016, Slovenia. – Bio Photo Contest, Semifinalist, 2016, Italy. – Glanzlichter, Hight Commended Flora, 2016, Germany. – Glanzlichter, Hight Commended Other Animals, 2016, Germany. – Natura Torres del Segre, First Prize, 2016, Spain. – Memorial Climent Picornell, First Prize flora. 2015. Spain. – Sydney International Photography, Finalist (6 photos), 2015, Australia. – Certamen Fotografia Colmenar Viejo, Finalist (2 photos), 2015. Spain. – Narava International Photo Contest, Finalist (4 photos). 2015. Slovenia. – Bio Photo Contest, Semifinalist, 2015, Italy. – Parque del Sureste, First Prize flora, 2015. Spain. – Narava, Diploma Animals in the wild, 2015. Slovenia. – Europarc-Aefona, First Prize National Parks, 2015. Spain. – Humanes de Madrid, First Prize Nature, 2015. Spain. – Golden Turtle Photo Contest, Specially Commended Art of the Nature, 2015. Rusia. – Golden Turtle Photo Contest, Specially Commended Human and Nature, 2015. Rusia. – Glanzlichter, Finalist, 2015, Germany. – Mirada Natural, First Prize January 2015, Spain. – Fonamad, Photographer of the Year, 2014, Spain. – Festimages Nature, Honourable Mention, 2014. France. – Melvita Nature Images Awards, High Commended Macro, 2014, France. – Narava International Photo Contest, Finalist (3 photos), 2014. Slovenia. – International Mountain Summit, Finalist, 2014. Italy. – Memorial Climent Picornell, First Prize Art of the Nature, 2014. Spain. – Memorial Climent Picornell, Second Prize Landscape, 2014. Spain. – Sydney Internacional Photography, Finalist, 2014. Australia. – Photo Montier-AFPAN, Winner Documentary Category, 2014. France. – MontPhoto, High Commended Art of the Nature, 2014. Spain. – Europarc-Aefona, First Prize National Parks, 2014, Spain. – Sydney International Photography, Finalist, Monochrome, 2013, Australia. – Oasis Photo Contest, Finalist, 2013, Italy. – Fonamad, First prize Invertebrates, 2013, Spain. – Fotoesco, First Prize, San Lorenzo Escorial. 2003. Spain. – Ciudad de Barbate Photo Contest, First and second prize, 2002. Spain. – Avanced Course Photography Monsorma, Madrid. 2015. – Book With Cat’s Eyes. Flash Nikon SB-800, SB-24 and Cullman 36.